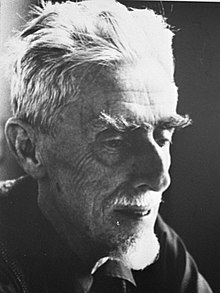 Maurits Cornelis Escher (Dutch pronunciation: [ˈmʌurɪts kɔrˈneːlɪs ˈɛʃər] ( listen); 17 Juin 1898 – 27 Mairch 1972), or commonly M. C. Escher, wis a Dutch graphic airtist wha made mathematically inspired widcuts, lithographs, an mezzotints. ↑ Duden Aussprachewörterbuch (6 ed.). Mannheim: Bibliographisches Institut & F.A. Brockhaus AG. 2005. ISBN 3-411-04066-1. This page wis last eeditit on 1 Dizember 2018, at 13:39.